Is Load Mask from Clipboard still a prospect? 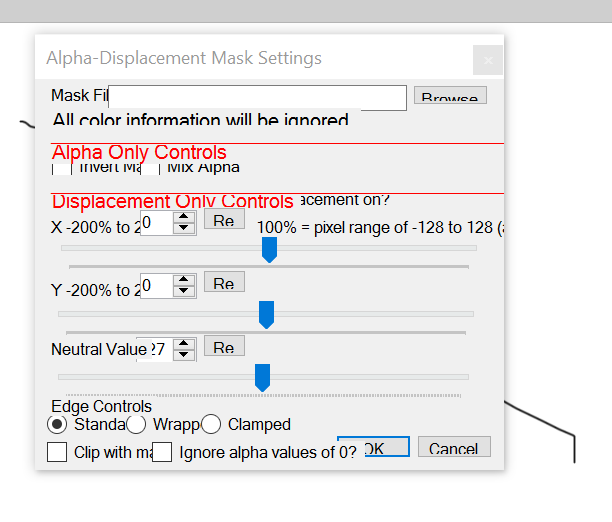 Is there a newer alpha mask/displacement tutorial? BTW I tried to let the video download for 20 minutes and nothing happened. Edit: Hope this is the one you meant. Thank you I found it helpful. One question after watching the video: Can you use the Alpha along with custom brushes? And how do you do this? Found a tut that makes sense to me. Yes you can, just treat it similar to what's shown in the tutorial. Hi, I was wondering how to download this plugin, I cant seem to follow the link and was wondering if anyone could help. The link to download this plugin is at the very end of the first post, just under where it says "Attached Files". Other links in that post look like examples and tutorials. When I open Alpha displacement the menu is all When I open Alpha displacement the menu is all messed up.